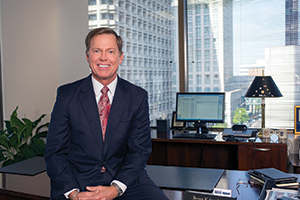 Messy and mucky are not the typical labels ascribed to the Hampton Roads Community Foundation’s philanthropic work, but those are the adjectives its president and CEO uses when discussing the organization’s new focus, tackling regional economic competitiveness. 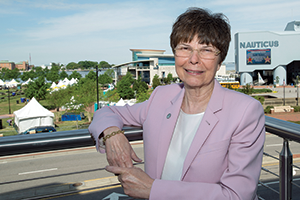 Considering the at-times divisive competition among Hampton Roads’ various economic, political and civic entities, those words may offer the clearest depiction of the foundation’s latest efforts to improve life in the region. “It’s a rather messy, mucky business,” says Deborah DiCroce. “It’s obviously a very large, complex matter. Nor is there a quick fix that brings a resolution.” A challenge, yes, but one that DiCroce relishes for her “second act in doing good for the region I call home.” The Hampton Roads native took charge of the foundation in 2012 after serving as president of Tidewater Community College for 14 years. With its philanthropic roots stretching back more than 60 years, the Hampton Roads Community Foundation (HRCF) has awarded more than $164 million in grants and scholarships to improve the lives of the region’s residents. Focusing on education, human services and the arts, the foundation helped form and later expand Eastern Virginia Medical School, Virginia Wesleyan College and the Virginia Aquarium & Marine Science Center. The second-largest of the state’s 27 community foundations and the 47th largest in the nation, HRCF’s latest incarnation came in 2010 with the merger of the Norfolk and Virginia Beach community foundations. With an asset value of about $300 million, the HRCF’s recent endeavors include helping to launch the region’s early childhood education initiative, Smart Beginnings, and joining forces with Norfolk and Virginia Beach to address homelessness. That role includes launching the Hampton Roads Regional Council with representatives from economic development entities such as the Hampton Roads and Virginia Peninsula chambers of commerce, the Hampton Roads Economic Development Alliance and the Future of Hampton Roads, a nonpartisan research group that promotes regional development. He adds that the council will determine the region’s pressing issues and priorities, including how to ensure that its three traditional economic drivers remain healthy. Despite expanding its focus to regional economic competitiveness, the foundation is not relinquishing its philanthropic role in awarding scholarships, supporting nonprofit agencies and attracting new audiences to arts organizations. 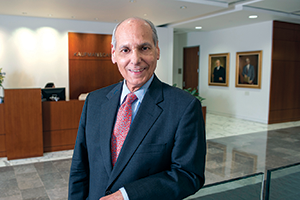 “We’re building on the Hampton Roads Community Foundation’s foundation, not abandoning its roots,” DiCroce says. The HRCF embraced its expanded focus by commissioning Austin, Texas-based consulting firm Greyhill Advisors to examine the effectiveness of the region’s “business-voice” entities, including the Hampton Roads and Virginia Peninsula chambers of commerce, the Hampton Roads Economic Development Alliance, the Future of Hampton Roads, the Hampton Roads Military and Federal Facilities Alliance and the Hampton Roads Partnership, many of whom shared the same purpose. Begun in September 2012, the $120,000, year-and-a-half-long study also compared Hampton Roads to areas like Austin, Pittsburgh, Jacksonville, Fla., and Charlotte, N.C. The consultants ultimately determined that Hampton Roads’ biggest obstacles are its lack of coordination and cohesiveness. Regions that get things done, they note, are those employing a roundtable group composed of local CEOs.